Various cities are investigating street-mounted acoustic listening devices which can detect the sound of gunshots. In a related story, criminals are testing a similar device that can detect the sound of donuts being eaten. "Things have taken a turn for the surreal." So the Federal Communications Commission cowardly refuses to promise television stations they won't be fined for indecency for airing a story about Americans fighting to preserve our liberties, including free speech. I know what my late father, a World War II veteran, would say about this situation. But he couldn't say it on broadcast radio or television in the country for which he took a bullet. Thank goodness the values voters won. 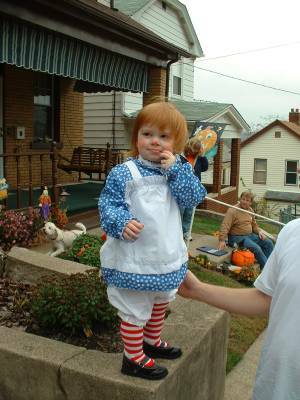 Granddaughter Leanna was Raggedy Ann for Halloween this year. Look at that hair... who needs a wig? Recent rapid increases in arctic temperatures threaten coastal cities, have changed growing patterns for vegetation and will destroy habitats for some wildlife, but, by God, there'll be gas for your SUV. The first thing I did to steal your election was to make friends with ALL the manufacturers and code-verifyers of the Electronic Voting Machines. They were really nice, especially Diebold who gave me $600,000 for my campaign. Wow, thanks dude! Next, I had my attack dog, Karl Rove, convince these companies to either alter the vote totals on the central tabulator machines (simple PCs running windows using Remote Access Server -- RAS), or reprogram (via a downloadable software patch) the voting machines themselves so that they would give the advantage to ME! Isn't America great?!? A little money and some religious zealotry goes a looooong, loooong way. Oh, the religious zealotry thing? That's just a cover. I'm not really a Christian -- or at least I don't act like one. Anyway, I digress. Did you ever hear the media complaining about how inaccurate the exit polls were in prior elections? No. That's because they basically ARE accurate. 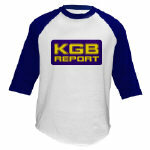 But this election, the exit polls showed Kerry WAY ahead. No problem. My buddies rigged the machines (and all they needed to do was rig it in one state, Ohio, but they took care of at least Florida for me too) not only to make me squeak by in the important battleground states, like Florida and Ohio, but they also made sure that when I did get a state that I was expected to win, the margin was HUGE so that my "popular" vote would make it look like I had a mandate. So let's recap how the popular vote thing worked again. Let's say we didn't want it to look suspicious by taking states that Kerry really would have won (except for Ohio and Florida, gotta take those! heh heh). So we let him win there, but in order once again to boost the "popular" vote (I put that in quotes because as you know, I'm not REALLY popular), we bring my vote tallies RIGHT UP NEXT to Kerry's, to jack up the "popular" vote as much as possible, even if I didn't win the state. Then, with states like North Carolina, we know we're going to steal the state anyway (at least according to what the exit polls were telling everyone.... and according to the long, long lines of new voters were telling everyone .... because we all know most of those people were voting for Kerry, not the status quo), so we just jack the crap out of the vote total to REALLY stuff a crapload of "popular" votes in my pocket. You see, this way I can get on the TV and declare that I have a "mandate" and that I'm going to "cash in" on my political "capital" (which I don't really have of course, but we made it look that way). Here's a nice chart to show you what I mean. Take special note of how the electronic voting machine totals compare to the paper ballot totals. And see what I mean about North Carolina? Look folks, if you really want me out of office, first you're going to have to impeach me. But you know what, if you don't have verifiable paper trails at the polls like these folks recommend (https://openvotingconsortium.org/), and if you don't take these voting machines out of the hands of private companies that are aligned with one end of the political spectrum, then I'm gonna just continue to hose you (and then my brother Jeb will be president too cause we're into this dynasty thing, kind of like my buddies the Saudis... ain't it cool?!?). Also, in 2006, we're going to steal about five more senate seats, and then we'll have the "super-majority". That means the Democrats can't do that confounded fillerbs... fillas.... fillbusters.... CRAP, well, they can't get in the darn way any more and we can pass ANY laws we want about ANYTHING and put whoever we want on the Supreme court. Ha ha, then you're REALLY screwed. So if you don't fix this mess (I mean great system) in two years and have a verifiable voting system nationwide, America is MINE!!!!! (and Jeb's and my daddy's and Cheney's and Rove's... hey, we could even pass a law saying I could be president for FOUR MORE YEARS after 2008! That would be SOOO cool!) Anyway, I digress once again. And that pesky Bev Harris. Man I wish she would go away. If too many of you contribute to her cause, I might just get in trouble so KNOCK IT OFF!! I've said it before and I'll say it again, "Fool me once.....", oh CRAP, I forgot again. Well how about this? "This would be a heck of lot easier if this was [grammar incorrect] a dictatorship.... just so long as I'm the dictator. Heh, heh." Well, sorry to say folks, but I got my way. What are you gonna do about it, huh? Bring it on!!! P.S. Pass it on! I dare ya. I'm sure you know, there's talk of Hillary Clinton gearing up for 2008. Or as Bill calls her... The Polar Express. The Sunday flight from Pittsburgh didn't begin well. It was almost two hours late and the pilot had decided not to make the flight deck radio available on the audio system. I've flown United about 100 times in the past two years, and this was only the second time I couldn't listen to the in-flight air traffic control conversations. I actually think the same pilot pulled the plug on both flights. You may ask, "Is there a reason you need to listen to the ATC transmissions?" 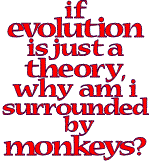 A more valid question is: "Is there a reason I shouldn't?" Bear in mind that anybody with a cheap Radio Shack scanner can listen in to the conversations, so it's not like it's a security issue. United makes a big deal about it- so much so, that when one pilot decides I shouldn't be able to hear what's going on, it makes me nervous. I decide that instead of a neurological disorder, the pilot just likes to assert authority. So I try to doze off. The first officer announced passengers on the right side of the plane should be able to see the aurora borealis, the northern lights. Not one, but two miracles: a low-latitude aurora, and actually being seated on the correct side of the aircraft to view it. The light pollution in the city made it impossible to see the aurora from the ground. But when I awoke to go to the bathroom at about 1 a.m., I noticed an odd light flickering outside the window, even without my glasses. My tenth floor apartment is about 500 feet from the shore of Lake Michigan, and I have an unobstructed view. There's a park at the lakefront, so there aren't many lights and the sky above the lake, of course, is totally dark. Right at eye level was a beautiful display of the aurora. For three hours I watched the ribbons of multicolored light cascade across the sky. They were mostly green, but about every ten minutes or so there'd be an eruption of yellow and red that was absolutely breathtaking. Of course, I was totally worthless yesterday, since I had about a total of three hours' sleep. But at age 50, I had discovered two things that were previously unknown to me: the beauty of the aurora, and that acute sleep deprivation and excessive caffeine consumption produce the same visual effect.